Used 2012 GMC Sierra 1500 SLE Ext. 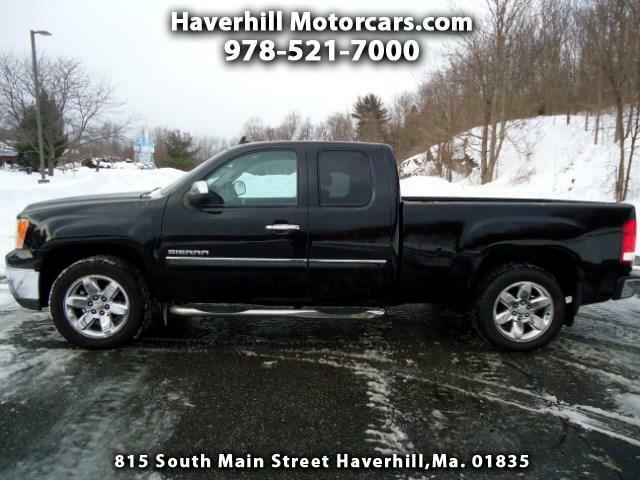 Cab 2WD for Sale in Haverhill MA 01835 Haverhill Motorcars, Inc.
2012 GMC Sierra 1500 SLE RWD 6-Speed Automatic Vortec 5.3L V8 SFI Flex Fuel Sierra 1500 SLE, RWD. Chrome package, back up sensors, leather, and more. This is a very sharp looking GMC truck!! This GMC Looks, runs, and drives 100%. This one owner Sierra was exceptionally maintained on every level and it shows. Impeccably clean in and out, tight, responsive and everything a half ton pickup should be..... CHECK IT OUT!! This is a very clean Florida truck!